According to the Canadian Icons website, Transport Canada says there are more than 700,000 registered snowmobiles in Canada. Take a guess how many kilometers of snowmobile trails there are across Canada? More than 161,000 km of snowmobile trails, says the website. It’s a good guess that our cold winter weather and quantities of snow, particularly that fall in some areas of the country, that Canadians love to take to the trails in their snowmobiles. Ontario has some of the most picturesque snowmobile trails in Canada. It also has plenty of leisurely (and by that we mean more relaxed cruising) trails and many that are challenging. In all there are more than 30,000 kilometers of interconnected, uncongested trails in Ontario. These are maintained by the Ontario Federation of Snowmobile Clubs (OFSC) and the group offers a trail guide with up-to-date trail information and a view of the province’s trail network. And when you are planning your snowmobile outing, you will also want make sure you are properly insured. Our insurance professionals will tailor insurance to your needs. So whether you are sledding around your house or going on a long trek in a winter wonderland, Morison Insurance has the right insurance policy for you. 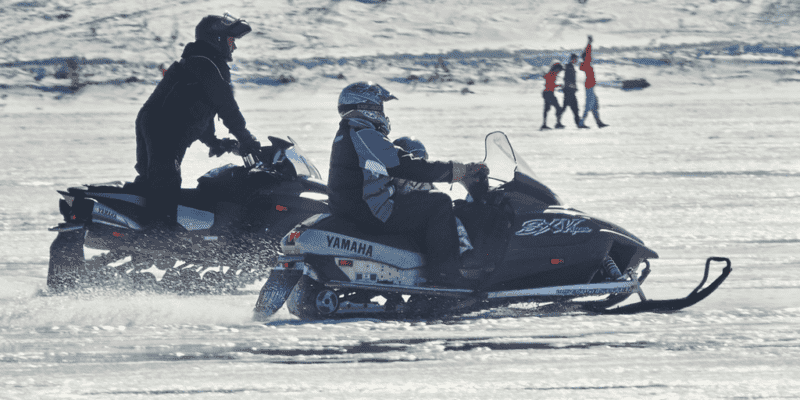 Several factors will be considered when determining the Ontario snowmobile insurance coverage that is best for you. Things to keep in mind are the sled’s size and power, the number of passengers it can carry, and the driving record of the principal operator. Our Morison Insurance brokers will help you make sure your snowmobile and trailer are protected with the right insurance at the right price. Contact us today to learn more about Ontario snowmobile insurance coverages. To find out more about snowmobiling in Ontario here is a link to the Ontario Federation of Snowmobile Clubs.